Did you know that if your vehicle is not running in tiptop shape, it can negatively affect your fuel economy? Many drivers are unaware of that fact. At Lion Country Kia, we want to keep you as informed and knowledgeable as possible on all aspects of car ownership and maintenance, and that includes offer fuel economy tips. Even with a well-maintained vehicle, there are still things you can do to improve fuel economy. • Drive responsibly and within the speed limit. • Use cruise control when possible. • Use good tires that are properly inflated. 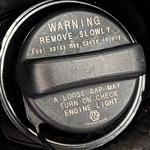 • Avoid letting engine run unnecessarily in cold or hot weather. • Make sure tire size is designed for the vehicle. If your vehicle is in need of service, bring it to our State College shop and let our trained technicians service it. While you’re here, why not take out one of our vehicles for a test drive?